“I have to tell you, it’s an unbelievably complex subject . . . No one knew that healthcare could be so complicated,” explained President Donald Trump to Republican governors attending the 2017 National Governors Winter Conference. Many consider the President’s comment the understatement of the year due to the uneven, often unintentional evolution of health care in America. While there are still things you can do personally to reduce the cost of healthcare, the latest political effort to fix one of the more inefficient and most expensive health care systems in the industrialized world. After promising for seven years and voting more than fifty times in the last four years to repeal the Affordable Care Act (ACA), the Republican majority in the House of Representatives could not agree on a replacement plan. As a consequence, the ACA – with all of its strengths and weaknesses – will continue. If you’re wondering how we got here, you’re in the right place. 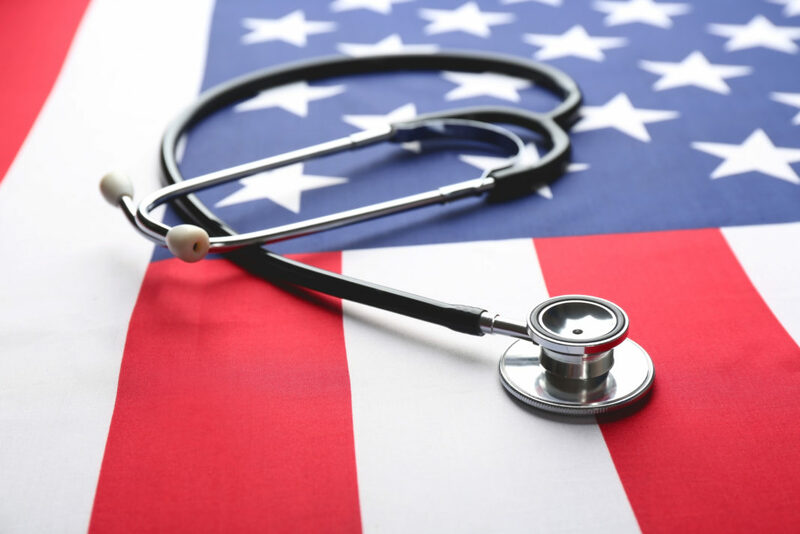 In the following sections, we’ll cover the history of healthcare in the U.S., previous reform efforts, common debates, future solutions, and more. 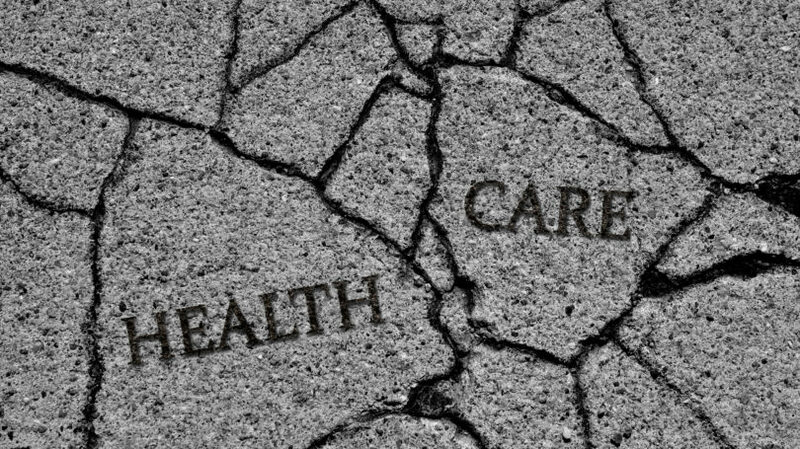 Today, the country spends $3 trillion annually on healthcare or $9,523 per person. According to consulting firm Deloitte, America spends more per capita on healthcare than any other country in the world – more than 2.5 times than the U.K., 1.8 times the rate of Germany, and 1.6 times the amount Canada spends. Bloomberg Health-Care Efficiency Index ranked the U.S. 50 of 55 nations in 2014 (the latest year for which figures were available). The Commonwealth Fund is a private foundation established in 1918 to support independent research on healthcare issues. Since 2004, the foundation has ranked the U.S. last or near last on measures of access (due to cost), efficiency, and equity (lower-income individuals are least able to see a physician, take a recommended test or treatment, or fill a prescription when needed). The Milken Institute School of Public Health at George Washington University ranked the U.S. eighth in life expectancy (behind such countries as Australia, France, and the U.K.), twelfth in immunization coverage for one-year-olds, and sixth in the number of physicians per 10,000 population. America was one of the last industrialized nations to have comprehensive health insurance for its citizens. Germany introduced compulsory “sickness” insurance in 1883, followed quickly by Sweden, Denmark, Austria, Hungary, Norway, Britain, France, Switzerland, and the Netherlands by 1912. Their systems eventually evolved into universal health care systems under a centralized government control. A variety of different factors created the foundation for widespread health insurance coverage in the 1930s and early 1940s and its delivery through private employers. Most people paid for medical care out of their own pockets. The forerunner of modern healthcare insurance was a contract between 1,500 Dallas-area school teachers and Baylor Hospital in which the former agreed to pay premiums for up to 21 days of future care. The 1929 plan was called “Blue Cross” and was followed by “Blue Shield,” a similar program to cover physician fees. Before the 1930s, pathogenic bacterial infections killed hundreds of thousands each year. With no effective medicines, human suffering was great, particularly among children with immature immune systems. Of the 620,000 deaths in the Civil War, two-thirds died from wound infections. The discovery of penicillin by Alexander Fleming in 1928 and sulfa drugs by Gerhard Domagk in 1935 replaced ineffective home remedies and changed the practice of medicine. According to The Journal of Trauma Injury, Infection, and Critical Care, American deaths from abdominal and chest injuries in World War II had fallen to 24% and 10% respectively. The combination of new drugs, anesthesia, and medical advances such as blood transfusion techniques and improved X-ray equipment encouraged people to go to physicians for treatment that had previously been provided by home remedies and care. Due to the Great Depression, most people had difficulty paying medical bills. People went to hospitals for outpatient care with the limited use of inpatient beds. As a consequence, many voluntary hospitals closed their doors. To control inflation during WWII, Congress passed the Stabilization Act capping wages and prices. As a consequence, large employers and labor unions negotiated insurance plan benefits to compensate for the fixed wages. Since the cost of the insurance resulted from negotiation between company and union, the costs were deductible as a business expense while the premiums were not considered taxable income for employees nor included in the Social Security payroll base. According to the Monthly Labor Review, less than 10% of the population was covered by any health insurance; by 1950, one-half of the population had insurance. Employer-provided health insurance became the foundation of the American healthcare system today. In 1949, businesses introduced major medical insurance with cost-sharing by employees through deductibles and co-pays. In 1951, 100,000 employees and their dependents were covered by such plans; that number had grown to 156 million by 1986. Healthcare insurance pioneered by the not-for-profit “Blues” (mutual insurance companies owned by the policyholders) dominated healthcare insurance through the 1950s. Commercial (for-profit) insurers did not initially consider health insurance to have definite, measurable risks, nor any assurance of profit and ignored the market. However, following the examples of the Blues, they quickly entered the market. Lower premiums. Younger, healthier individuals are less likely to need or use expensive medical treatments, unlike a broad community that included older, sicker people. Pressure on the Blues’ Pricing. Community-rating forced the Blues to maintain higher premiums than those offered by their for-profit competitors and their use of experience-rating. Ultimately, the Blues were forced to transition to experience-rating also. In 1941, 51% of those with healthcare insurance had a policy with a Blue Cross Blue Shield (BCBS) plan; by 2015, their market share had fallen to 41%. As the BCBS non-profit plans found it difficult to raise capital for strategic initiatives, many transitioned to for-profit, publicly traded organizations in the early 1990s. Today, the largest Blue Plan (Anthem) is publicly traded and the second largest health insurer in the nation. 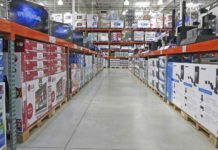 According to Wendell Potter of the Center for Media and Democracy’s PR Watch, profits and not-for-profits behave similarly, racking up enormous profits and surpluses. As the cost of health insurance increased, many large employers turned to self-insurance, relying on the insurance companies for physician and hospital contracting and claims administration. Secretary of Labor Thomas Perez reported to Congress in 2015 that there were 20,600 self-insured plans in 2012 covering 32 million workers, a slight increase from the year before. The ACA provisions do not apply to these plans as they are considered the result of labor negotiations, not public policy. In 1993, the average medical loss ratio (MLR) – the dollars paid for medical claims or healthcare premiums – for the health insurance industry was 95%. Over the next decade and a half, administrative costs and profits accounted for a growing share of premiums. As a consequence, the ACA required health insurers to maintain a minimum MLR of 80% or rebate portion of the premiums to policyholders. From 2011-2015, rebates exceeded $2.4 billion. The 1943 Wagner-Murray-Dingell Bill called for compulsory national health insurance funded by a payroll tax. It failed with opponents claiming it was an arm of the International Labor Organization (ILO) created after World War I. According to the American Journal of Public Health, an anonymous article circulated in the Medical Economics magazine claimed that the ILO had plans to socialize medicine throughout the world, “one nation at a time.” The bill was subsequently reintroduced every session for the next fourteen years but failed to pass. According to a study by Harvard University’s Derek Bok, opponents collectively spent over $100 million on ads ($167 million in 2016 dollars) on the healthcare debate. The University of Pennsylvania’s Annenberg School of Communications found 59% of the ads misleading with claims of “involuntary euthanasia,” loss of choice of doctor, and “no access to health care.” Major health care reform failed once again. The debate over healthcare became especially vociferous in the early 21st Century. Democratic President Barak Obama introduced the Patient Protection and Affordable Care Act (ACA) in July 2009. 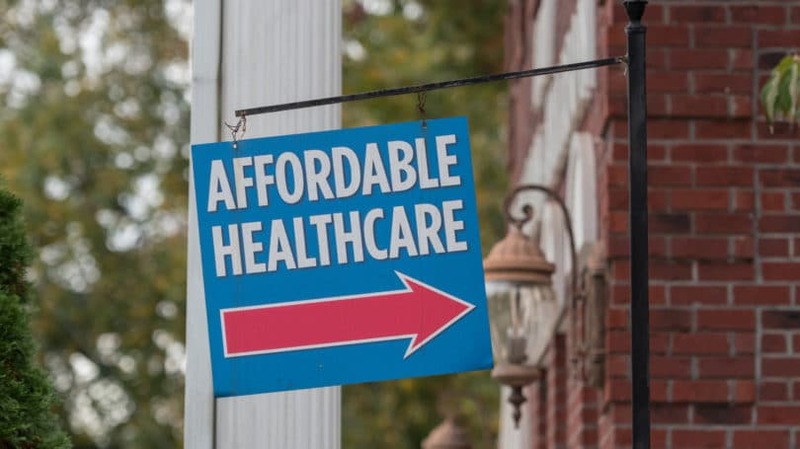 The Act was based upon the healthcare program passed previously in Massachusetts by a Republican Governor and initially developed by a conservative think tank, The Heritage Foundation. Provisions of the Act included new regulations such as new minimum coverage requirements (required coverage for pre-existing conditions, for example). As a consequence, many of the existing insurance plans for individual purchases did not meet minimum standards. Some insurance providers subsequently left different markets or raised premiums substantially. While the ACA added millions of Americans to the insured rolls, it has been less effective in cutting the increasing cost of healthcare for the average citizen. According to the Congressional Budget Office, the average premium paid by a family or a single person more than doubled between 2001 and 2014, a rate exceeding growth in per capita income. Employers reacted to the increase in either cutting plan benefits or raising premiums, deductibles, and co-pays on employer-provided insurance (the Milliman Medical Index calculated that the average cost of annual health care for a family of four was $25,826 in 2016). Opponents of the ACA assert that there is “overwhelming evidence that Obamacare caused premiums to increase substantially.” On the other hand, proponents claim that the ACA has been moderating premium rates that would have occurred without the Act. Brookings Institute researchers Loren Adler and Paul Ginsberg found that individual premiums were 10-21% under the premium projections before that Act. Over the last six years of Obama’s term, Republicans attempted more than fifty times to repeal the Act. With the election of a Republican President in 2016, Republicans have repeatedly vowed to “repeal and replace” the Act during the first 100 days of the new President’s term. The question is what, if anything, will replace the ACA? As the new Administration has discovered, reaching a political consensus on how best to provide Americans with high quality, accessible healthcare at a reasonable cost is difficult, if not impossible. The following factors will affect all proposed solutions. Healthcare costs increase dramatically with age. According to research published by the National Bureau of Economic Research, annual costs for the elderly are approximately four to five times those of people in their early teens. Personal health expenditure also rises sharply with age within the Medicare population. The oldest group (85+) consumes three times as much health care per person as those 65–74, and twice as much as those 75–84. Since 1957, birth rates have fallen from 3.7 births per woman to 1.9 births, below replacement level (the number of children needed for a couple to replace themselves). As a consequence, the median age of Americans has increased from 29.5 years in 1960 to 37.8 years in 2015. The U.S. Census Bureau projects that the population aged 65 and older will surpass the population under the age of 18 in 2056. As a consequence, the demand for healthcare will continue to increase significantly over the next quarter-century. This financial pressure will result in changes in the funding and benefits of Medicare – the primary payer of healthcare costs for the elderly – in the future. Perversely, medical advances leading to longevity is likely to increase health care costs by extending the years of care needed, according to some studies. This effect is evident in the current financial condition of the Medicare program. Both political parties have proposed fixes to the program, although President Trump promised no changes in his first speech to a joint session of Congress. Since 1960, national health expenditures have grown from 5.2% of Gross Domestic Product (GDP) to 19.1% in 2016, three times as much as spent on education. The American faith in technology creates an open pocketbook for medical progress to end suffering, aging, and death, whatever the costs. According to Modern Healthcare magazine, health care special interests spend $500 million dollars a year to influence the federal regulatory and policymaking process. In most cases, the money is well spent. For example, the Pharmaceutical Research and Manufacturers of America (PhRMA), the American Medical Association, and the American Hospital Association rank numbers six, seven, and eight on a list of top spenders for Federal government lobbying. Collectively, between 2008-2016, the three associations contributed more than $511 million to legislators to protect their interests, according to MapLight. As a consequence, the pharmaceutical industry receives premium patent protections and minimal control over pricing. Today, Americans pay the highest prices in the world for life-savings drugs, considerably more than in other countries for the same medicine. The AMA has historically opposed healthcare reforms of any kind, according to the New Yorker magazine. Their opposition led to FDR’s removal of health insurance in Social Security, the defeat of Harry Truman’s universal insurance plan with the most expensive lobbying campaign that America had seen up to that time, and derailment of Clinton’s reforms in 1992. The magazine claimed doctors opposed universal health insurance because they feared government involvement would drive down fees. Similarly, the Health Insurance Association of American, the lobbying arm of health maintenance organizations (HMOs), spent $20 million in 1992-1993 for television, radio, and print ads (“Harry and Louise”) opposing Clinton’s proposed reforms. Business groups resist healthcare reforms, fearing that their costs will increase, while consumer groups such as AARP (formerly the American Association of Retired Persons) are equally adamant that health care services will not be reduced, nor costs of care increased. Reaching an acceptable compromise between the opposing groups has been elusive for the last five decades and remains unlikely today. Benjamin Franklin reflected the view of his fellow Founding Fathers when he wrote, “No man’s life, liberty, or fortune is safe while our legislature is in session.” Two hundred years later, Ronald Reagan claimed that the most terrifying words in the English language are: I’m from the government, and I’m here to help you. A 2015 Pew Research Poll found less than one-in-five citizens felt that government could be trusted some or most of the time; a decline from 1958 when more than three-of-four had confidence in government. A subsequent poll suggested that Americans, more than any other nationality, believe that success is the result of their hard work, not forces beyond an individual’s control. Consequently, it is not surprising that the American Enterprise Institute/Los Angeles Times 2016 Poverty Survey found that most Americans, especially blue-collar conservatives, believe that “taking care of the poor” is not a primary responsibility of government. The majority of survey respondents felt “that government programs breed dependency” since there are plenty of jobs available for poor people, but they prefer to stay on welfare. Taxes. According to the Organization for Economic Co-Operation and Development (OECD) data, the United States collects fewer taxes as a percent of GDP (26.4% in 2015) than thirty-one of the other OECD members. Only the countries of Mexico, Chile, Ireland, and Korea collect fewer taxes. The OECD average is 34.3% of GDP. Higher taxes for any purpose is unlikely since 219 Republican members of the House of Representatives and 49 Republican Senators have pledged not to raise taxes according to the Americans for Tax Reform organization. Large Categories of Expenditures. The biggest four expenditures are for Defense ($609.3 billion, 15.9% of the total government budget), Social Programs ($2.33 trillion, almost 61% of total government spending), Education ($102.3 billion or 2.67% of Federal spending) and Interest on Debt ($229.1 billion or 5.97% of total expenses). Health insurers seek to ensure that their insured population reflects the actuarial assumptions behind their premium rates. In other words, they avoid a customer base that is likely to exceed their projected utilization of health care services. That is, avoiding having a higher proportion of older, sicker policyholders than expected. In such cases, medical expenses will be higher, generating lower profits and possibly losses. Before the ACA, health insurers could individually underwrite prospective purchasers of individual policies. Today, premium variation is based solely upon the geographical location, age, and smoker/non-smoker status; neither medical history nor a pre-existing condition can affect premium rates. To reduce the risk that only those that need immediate medical care would buy health insurance, the ACA required everyone to have health insurance or pay a progressive cash penalty unless exempted. The penalty is calculated as the greater of a flat rate or a percent of income. For example, the penalty for failing to have health insurance in 2016 was $2,085 for a family or four earning $60,000. The collected fees are used to subsidize insurance company losses that result from an unavoidable adverse selection. According to Modern Healthcare, the penalty has not been successful in generating the required number of young, healthy enrollees to the new health insurance exchanges, creating adverse selection in the insured base of many insurers. As a consequence, many insurers withdrew from unprofitable markets or substantially increased premiums for those purchasing individual policies, further widening the gap between the penalty and the cost of insurance. The question of whether healthcare is a right guaranteed under the Constitution or a privilege has raged for decades. While the opposing sides agree that healthcare is a “right,” they disagree about the definition of that right. Progressives: Figures such as Senator Bernie Sanders claim that government has the responsibility to assure every citizen has access to the medical care they need, regardless of income. Former Representative Dennis Kucinich (D-OH) equated the right to healthcare to the right to vote, neither of which is based on the ability to pay. Moral leaders such as Pope Francis of the Roman Catholic Church assert that “Health is not a consumer good, but rather a universal right, and therefore access to health care services cannot be a privilege.” Other organizations such as Amnesty International USA, the United Methodist Church, and the Center for Economic and Social Rights have also weighed in on the side of a right, not a privilege. Access to medical treatment will be available to all, provided that individuals can afford such treatment. 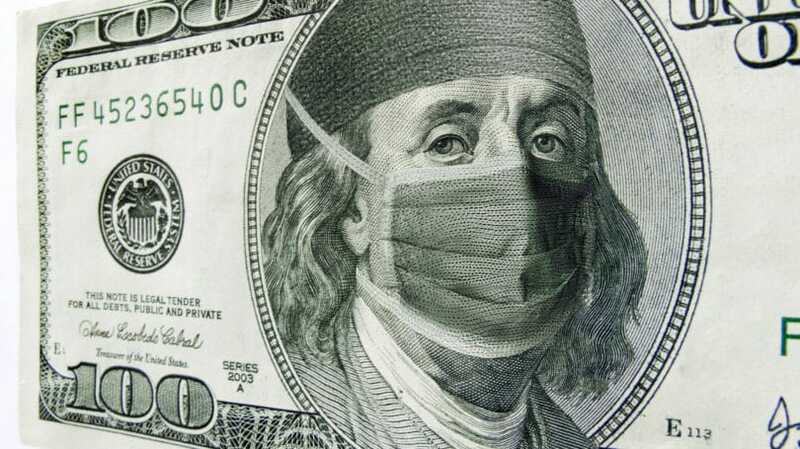 Free market competition will drive down health care prices and improve the quality of care. This competition will include all phases of health care including physicians, hospitals and facilities, medical equipment manufacturers, and pharmaceutical manufacturers and distributors. Medical decisions will be made solely by physicians and patients. Change Medicaid funding and control. The AHCA will repeal the ACA expansion of Medicaid to cover more individuals and replace the existing funding with a per capita allotment or a State block grant. As a consequence, future Federal financial responsibility will be limited, and the states will have the responsibility for determining the eligibility requirements of coverage. States who expanded Medicaid coverage under the ACA will continue to receive enhanced funding until 2020 when the level of financing would return to pre-ACA levels. Replace Obamacare subsidies with Refundable Health Care Tax Credits. The refundable tax credits to purchase individual health insurance will apply to individuals – including children up to age 26 – and will be based on age, not income. (A 50-year-old will receive a $3,500 credit versus a $2,000 credit for 25-year-old,) Credits will be reduced for taxpayers with a modified adjusted gross income above $75,000 and will be limited to individuals who lack coverage through an employer or government health insurance plan. To avoid adverse selection whereby healthy people would defer purchasing health insurance until becoming sick – the purpose of cash penalties in the ACA – the AHCA would require those who discontinue coverage to pay a 30% increase in premiums for a year. Expand coverage of Health Savings Accounts. Tax-deductible contributions in health savings accounts would be increased to $6,550 for individuals and $13,100 for families from $3,400 and $6,750. The funds would be used to purchase high-deductible health insurance and pay other defined medical expenses. Introduce State Innovation Grants. Those with pre-existing conditions or who require extremely expensive healthcare will have coverage through state-run high-risk pools, similar to their pre-ACA status. The new Act would create a $100 billion pool to be allocated to states between 2018-2026. The funds can be used at the state’s discretion to finance high-risk pools or implement policies that would promote participation in private health care plans. Allow Interstate health care insurance sales. The AHCA will allow insurers to sell across state lines, which was part of the Presidential platforms of Republican candidates John McCain and Mitt Romney. Under present law, premiums for older people cannot exceed three times the rate on younger policyholders. The proposal would raise the differential to 500%. Penalize individuals with lapsed coverage. Rather than a tax on those who do not have health insurance as required by the ACA, the Republican proposal would require those who discontinue coverage to pay a 30% increase in premiums for a year. This provision is designed to minimize adverse selection. Repeal the ACA taxes. The plan includes taxes on prescription drugs, over-the-counter medications, health-insurance premiums and medical devices. It also eliminates the 3.8% tax on investment income and the additional 0.9% additional payroll tax for individuals making more than $200,000 ($250,000 for couples). Eliminate essential health benefits. To reduce premiums, the plan would eliminate or severely limit ACA-mandated benefits including maternity care, mental health and substance abuse coverages, and rehabilitation services for people with disabilities. The role of employers in health insurance will fade as they jettison insurance coverages for their employees, as they earlier eliminated pensions and off-shored jobs for greater profits. Katherine Hempstead of the Robert Wood Johnson Foundation claims that the decline and ultimate disappearance of employer-provided health insurance is “inevitable.” The number of discontinued employer-provided plans will increase if Congress removes the tax exemption for employer-provided coverage as advocated by conservatives like Joseph Antos. According to Robert Field of Drexel University, commenting on the [email protected] website, employees are likely to be worse off if employers eliminate health care insurance. He questions whether the money spent on coverage would be converted into increased income for employees: “Would they give you all of the money they would have given the insurance company? I think the answer is no.” Field also notes that any increase in wages would be taxable, limiting the funds available to buy insurance, even with the refundable credits provided in the Act. Individuals transitioning from a group plan will find that administrative costs for individual plans are as much as five times greater than a group plan, according to Mark Pauley, a professor at the University of Pennsylvania’s Wharton School of Management. Insurers, freed from the mandates of Obamacare and the oversight of State insurance commissions, will reduce premiums by excluding expensive coverages, raising deductibles, and increasing co-pays. While policies may be cheaper, they will likely to cover fewer benefits such as maternity and pre-natal care, mental health treatments, or costly diagnostic procedures. Physician and hospital networks will become further restricted as insurers seek to lower the cost of care by negotiating lower prices in return for reduced competition. While younger citizens may see a decline in their premiums due to age-banding, older people are likely to see significant premium increases (or vastly reduced coverages) from existing levels. As a consequence, more people will go “bare” – without coverage – by necessity. Older Americans are disproportionately affected with premiums estimated to jump nearly 30% for a 64-year-old to $13,125 annually. They will join others who cannot afford the costs of stand-alone high-risk pools that may or may not be subsidized by State governments. This group will join those previously forced from the Medicaid rolls. Standard & Poors Global Market Intelligence projected an additional four to six million fewer Medicaid recipients by 2024, while the non-partisan Congressional Budget Office estimates additions of 24 million to the uninsured population. Some question whether the AHCA penalty for lack of coverage – a 30% premium increase for a year – is sufficient to encourage young, healthy people to buy coverage for any out-of-pocket cost. Unfortunately, in the real world, people get sick or injured whether or not they have health insurance. In a significant number of cases, they will require care. Since the passage of the Emergency Medical Treatment & Labor Act in 1986, hospitals are required to provide treatment for emergency medical conditions including active labor, regardless of the patient’s ability to pay. With greater levels of uninsured, public hospitals and their funding entities – states, counties, and cities – will be stressed to breaking. Many blame Obamacare for the growing deficit, overlooking the many taxes intended to produce revenues and the limited subsidies to those making under $48,000 annually. The Committee for a Responsible Federal Budget estimates that repeal of the ACA will eliminate $800 billion in taxes over the next ten years. The CBO projected deficit savings of $337 billion during the same period. There are no taxes included in the AHCA, and the refundable tax credits are available to income earners up to $75,000 each year. In other words, there are no revenue sources included in the Act to offset the costs of the State Innovation Grants or the Refundable Tax Credits. Fixing the country’s health care system is complicated, especially when we reject the experiences of other industrialized nations. Relying on free market competition to reduce premiums while ignoring the cost drivers of medical care is akin to panning for fool’s gold. Healthcare costs are a function of provider prices and patient utilization. Reducing prices would result in reduced incomes for hospitals, physicians, and pharmacy companies, an outcome they aggressively resist. At the same time, restricting utilization might increase suffering and mortality. What do you think? Do you have healthcare coverage? Is it a right or a privilege? Michael R. Lewis is a retired corporate executive and entrepreneur. During his 40+ year career, Lewis created and sold ten different companies ranging from oil exploration to healthcare software. He has also been a Registered Investment Adviser with the SEC, a Principal of one of the larger management consulting firms in the country, and a Senior Vice President of the largest not-for-profit health insurer in the United States. Mike's articles on personal investments, business management, and the economy are available on several online publications. He's a father and grandfather, who also writes non-fiction and biographical pieces about growing up in the plains of West Texas - including The Storm.